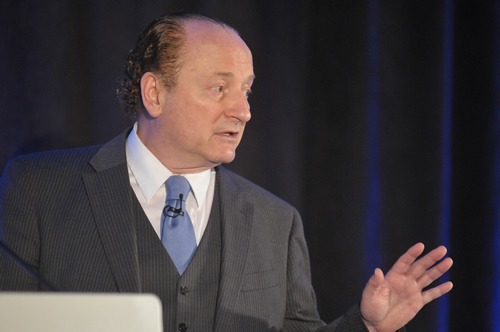 Target-date funds are an exceptionally bad way to save for retirement, according to Robert Merton. But, he said, reverse mortgages are a powerful – yet largely untapped – tool for retirees to improve their standard of living. Merton is a professor of economics at M.I.T. and was awarded the Nobel Prize in economics in 1997 for his contributions to the Black-Scholes option-pricing model. Merton spoke about target-date funds during his keynote speech on October 26 at the national conference for the members of Buckingham Asset Management (BAM) alliance, held in St. Louis. In other venues (for example, here), he has spoken about reverse mortgages. The idea that the design of target-date funds is based solely on one’s age doesn’t pass a “minimal test of common sense,” he said. Let’s look at Merton’s analysis of those two products. For every retirement product, Merton said, the measurement of success should be income. Income is how one determines their desired standard of living. You don’t need a principal sum to live, he said. You need a certain level of inflation-adjusted income. Everywhere, except in the defined-contribution (DC) world, retirement success is measured in income, he said. For example, pension plans measure success by their “funded status,” which in effect is the degree to which the plan can meet its participant’s projected income payments. But in the DC world, which includes target-date funds, success is measured as a principal target. “You have to set a goal and measure the progress toward it the right way,” said Merton. 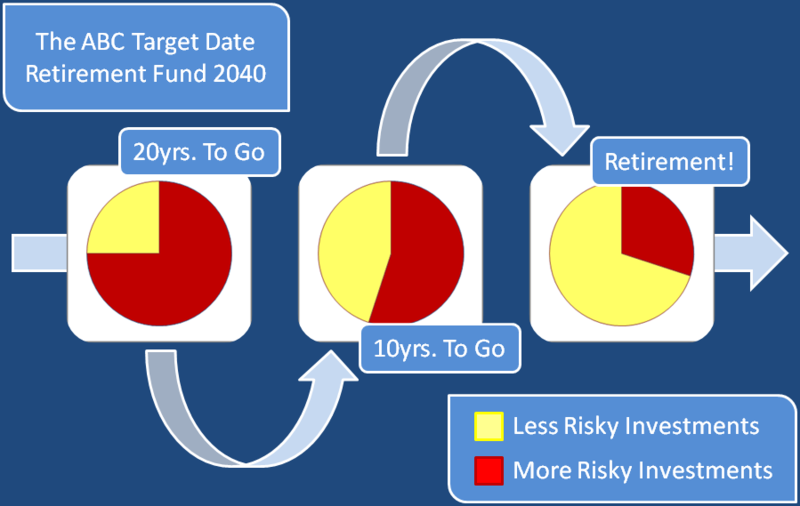 Target-date funds have a date, which Merton said “makes you feel good.” He reminded the audience, though, that the 2010-target funds still exist, which should cause one to question the meaningfulness of a fund’s target date. More to the point, Merton said there are no goals in the prospectus of target-date funds; there is a process, which is the glide path. The date, he said, is the date that the process stops. Technology has advanced, Merton said, and much more is possible in terms of providing customized advice and products. The downside is that complexity has increased, and so has the need for competent advice, according to Merton. Target-date funds get more conservative by increasing exposure to fixed-income. But, Merton said, it matters what type of bonds they hold. If they put you in three-five year nominal bonds, for example, they don’t protect you against inflation. Your chance of getting to a goal with a customized solution is much greater than with a generic solution. His most strident criticism was that target-date funds lack customization and are based solely on one’s age (or, equivalently, the time to retirement). “Why would think that it would be remotely possible that a single statistic – age – would be good enough to get you to a decent retirement?” Merton asked. Technology may have failed with respect to target-date funds, but Merton was much more optimistic about the promise of reverse mortgages. Indeed, he said technology underlies the promise of reverse mortgages. He said that belief is an outgrowth of the field of growth theory, for which the economist Robert Solow won a Nobel Prize. Solow showed that economic growth is not driven by population growth or high rates of saving, but by technological progress. Technology allows us to get more from labor and capital. The good news is we are living longer and having longer active lives, Merton said. This is thanks to improvements in nutrition and medical science. The distribution of those benefits is not equal, he added, since the wealthy get a disproportionate share of those benefits. Technology makes a solution possible, he said, and reverse mortgages are an important way that financial innovation can solve problems on a global basis. The bad news, according to Merton, is that we must pay for our consumption while we work and during retirement. The implication of longevity means that we go from a 40-year working career and a 10-year retirement to a 40-year career and a 20-year retirement. The implication, approximately speaking, is that we must save 33% of our working earnings for retirement instead of 20%. Without reverse mortgages, the alternative, Merton said, is to reduce consumption or work longer. If we can find ways to get more out of the assets we accumulate, Merton said, then we can enjoy greater longevity without sacrificing standard of living. For the working middle class, the largest and sometimes only major savings and the largest single asset is the house in which they live, according to Merton. Reverse mortgages are ideally suited to un-tap that store of wealth. However, Merton said, “reverse mortgage” is a terrible name. In Korea, he said, it is called a home pension. It is a practical way to use one’s house as a more efficient way to save for retirement. In an agrarian economy, you gave the farm to your children and they looked after you. It does not work that way in an industrial econo my, according to Merton. Houses get sold; children do not move in. Reverse mortgages provide liquidity based on the owners’ age and the value of house, in the form of a loan. Interest accrues on the loan. But no payments on loan are due until the owners leave the house. Critically, Merton said, reverse mortgages are non-recourse loans. If the value of the house is less than the principal due at the time the owners move out, then there is no recourse. In this sense, reverse mortgages are designed differently than traditional mortgage loans. Borrowers shouldn’t care about the rate of interest they will pay; their goal should be to maximize the amount of principal loaned. Moreover, it doesn’t change one’s behavior. A reverse-mortgage user stays in their house. “This is going to become one of the key means of funding retirement in the future,” Merton said.